Industrial hydraulic cylindersExactly as it should be. Perfect. No matter under which conditions you wish to use your cylinders, we'll make them work. With a complete system that is custom-made for your requirements. 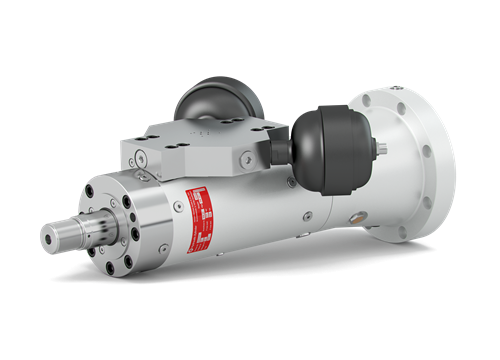 The essential advantage of industrial hydraulic cylinders is their ability to continuously and simultaneously provide full power at full speed - without any negative effects on the service life. All cylinders of Hänchen's 120 and 300 series also feature a characteristic compact construction. To guarantee exchangeability between products from different manufacturers, standard cylinder for the pressure ranges 100 bar, 160 bar, and 250 bar can be used. 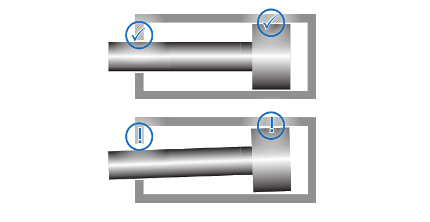 Hänchen standard hydraulic cylinders comply with the required standard mounting dimensions - but their true strength is that they also meet Hänchen quality standards. Sensor technology such as force or position transducers allow very large operating areas. 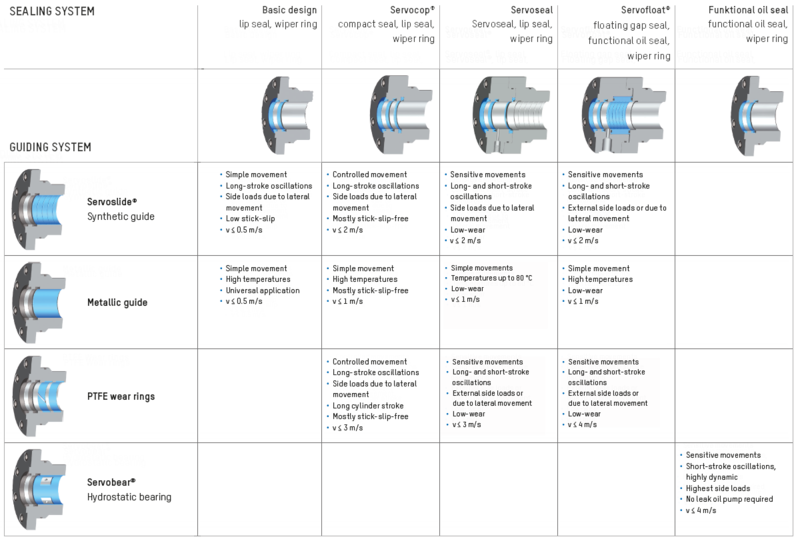 The selection of the right control strategy creates precise and highly dynamic hydraulic drives with extremely high energy densities. 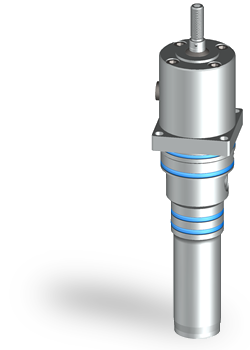 High speeds, frequencies, accelerations: hydraulic test actuators of the 320 test cylinder series with integrated position transducers always keep up. 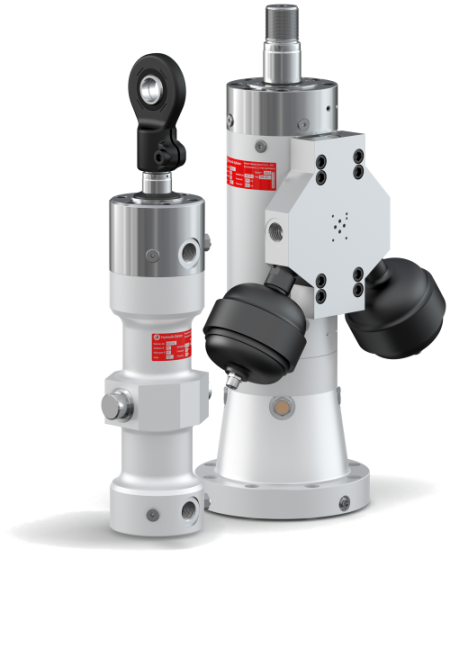 Test actuators are used wherever high dynamics are required - in test machines or industrial applications. Minor adjustments can often solve major problems. This is why customized products have almost become a standard for us. 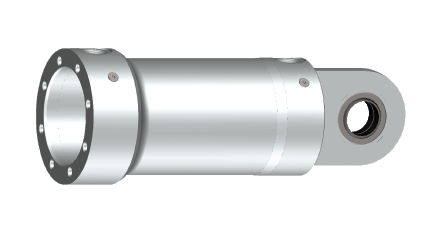 We make customized hydraulic cylinders quickly and without the prototype risk. 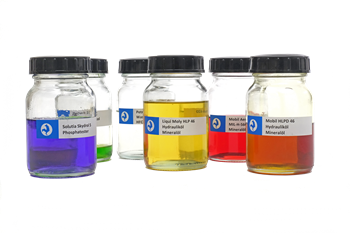 Whenever possible, we use minor modifications of our modular standard elements to adapt them to your requirements as cost-effectively as possible.  The design and production of individual, customer-specific solutions is one of Hänchen's strong points. 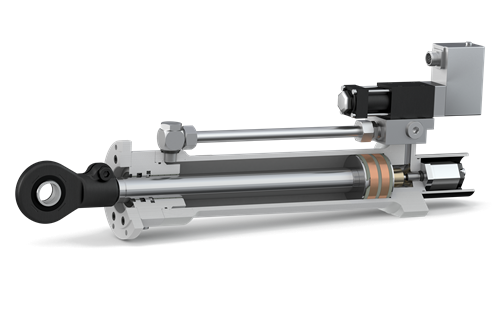 Thanks to decades of experience, our wide range of standardized hydraulic actuators, and the many projects we have realized, there is almost no prototype risk for our custom hydraulic cylinders. Low friction. Low wear. Long life time. The high surface quality and geometrical accuracy of the component parts of every single Hänchen cylinder guarantee a long life time without failure. For the best lubrication and running properties and as little wear as possible on cylinders and seals, the cylinders' sliding surfaces are refined with a cross-hatch finish. 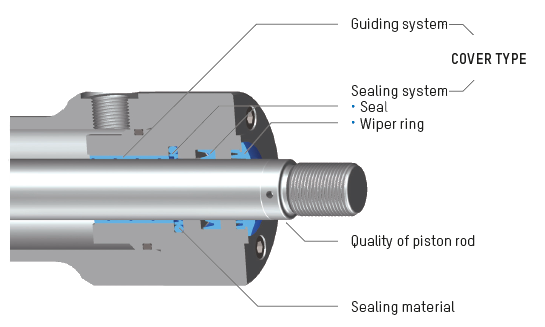 The constant development of our sealing systems - by combining already marketed and in-house developed seals - optimise our cylinders regarding wear, friction and leakage. The guide clearance must be neither too small nor too large. This is why Hänchen places so much importance on optimal accuracy. The result is reduced stress on the guide and thus less wear on the component parts. Three components. One unit. Easy handling. 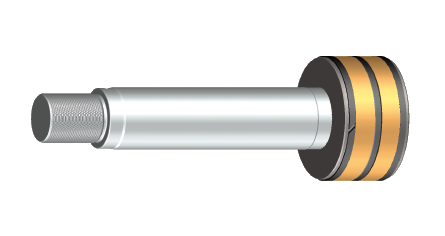 In Hänchen products, piston and piston rod are inseparably joined. The piston is coated with non-ferrous metal, enabling a precise metallic guide. The sophisticated rod ends with rounded edges permit a sealfriendly installation. 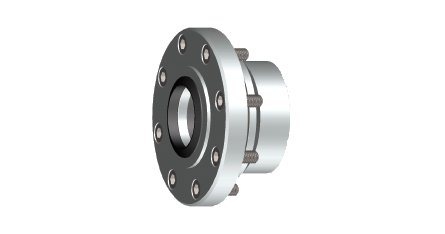 Round-head design, inseparably welded to the cylinder mounting. Drilled ports permit a space-saving installation with many options for adjustment to various applications. A cover type perfectly adapted to the requirements is crucial for the life time of the entire cylinder. Special feature: The synthetic guide is permanently integrated, reaches a better load distribution and minimizes the risk of scratches caused by dirt particles. For the perfect combination, the cover type with the best sealing and guiding system* with matching piston rod quality and the right sealing material is selected based on your application. We'll tune your hydraulic cylinder. Tell us what you need – to make the perfect industrial actuator, we need to know what you want. 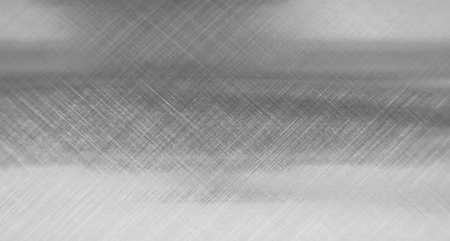 Sensitive, free-moving or robust – we have the right cover type for your requirements. 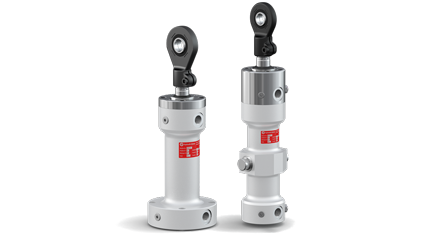 The strong point of Hänchen hydraulic cylinders is their extreme versatility. 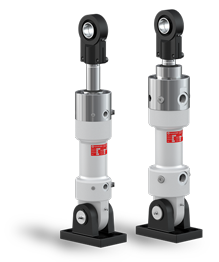 We provide reliable cylinders with the perfect friction force for your dynamic application case. 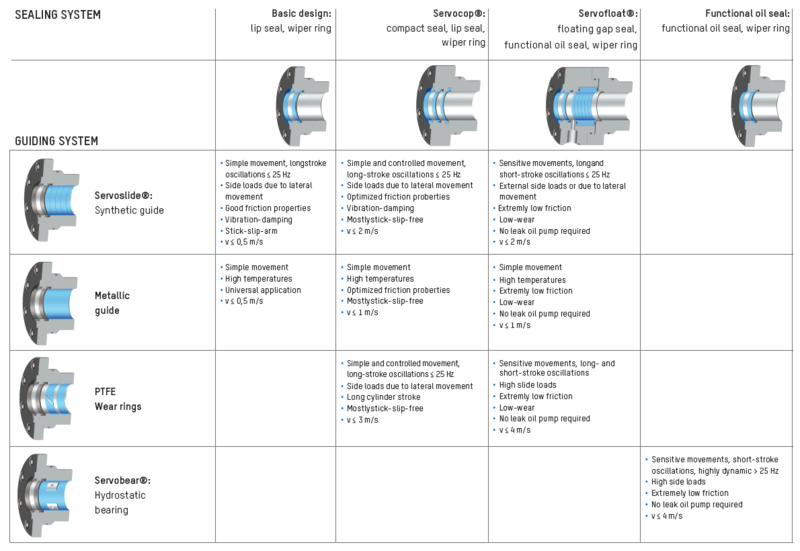 Values measured on the double-rod cylinder (seal less bore 46 mm, piston rod Ø 40 mm) in sine operation according to VDMA 24577 at 50 °C/HLPD46. 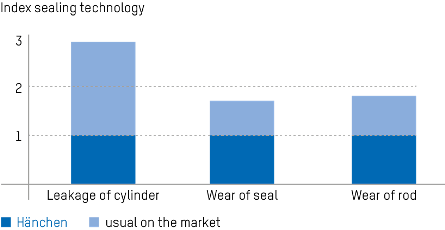 The friction force curves are at a lower level than is customary in the market. Beside the selected cover type, the right piston is also crucial for the dynamic movement of the hydraulic cylinder. We select the right piston for your cover type, exactly meeting your requirements. All piston types use the metallic guide. * applies to cover types Servofloat® and Servobear®, otherwise movement longer than sealing width.